tra la la la la,…. 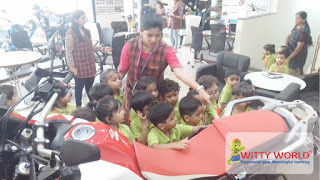 We children like to ride on it. 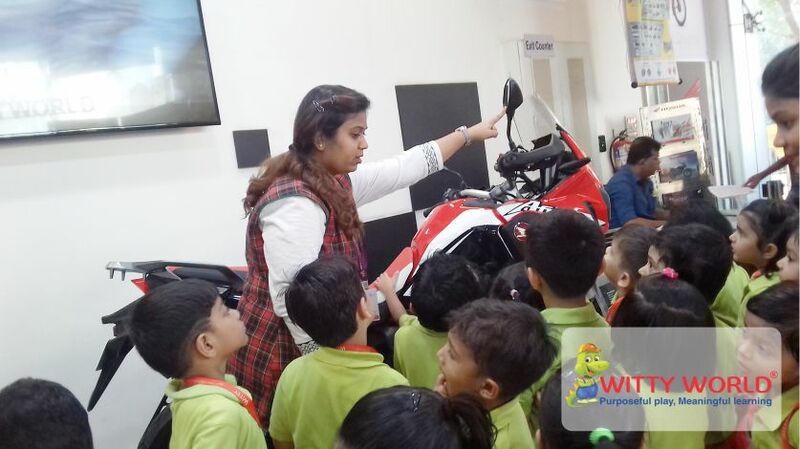 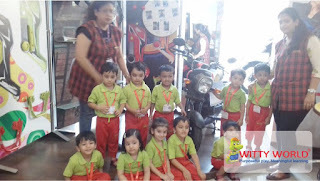 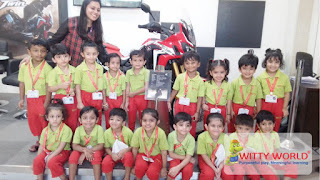 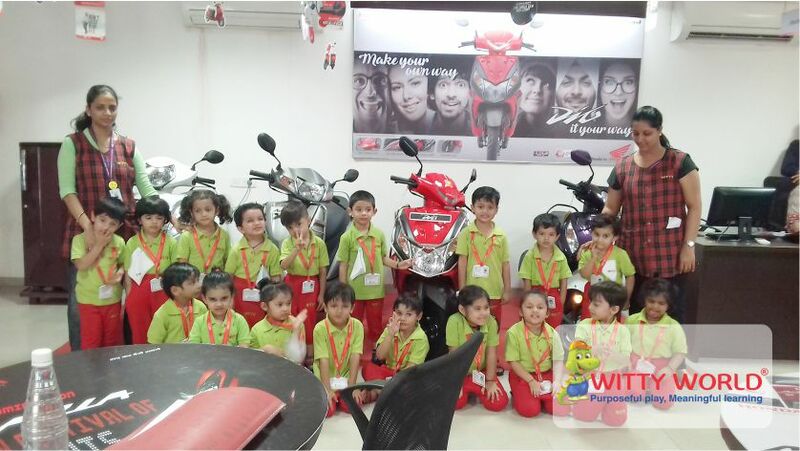 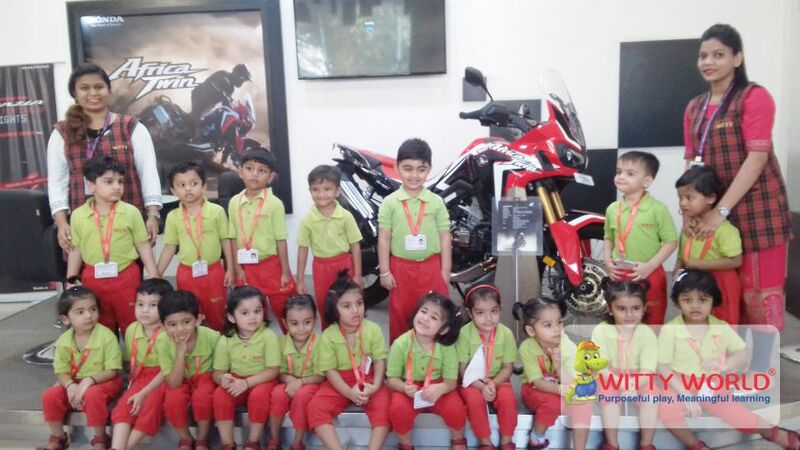 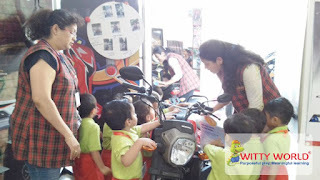 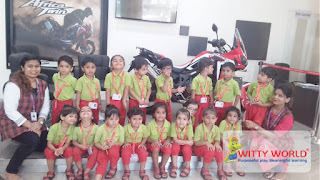 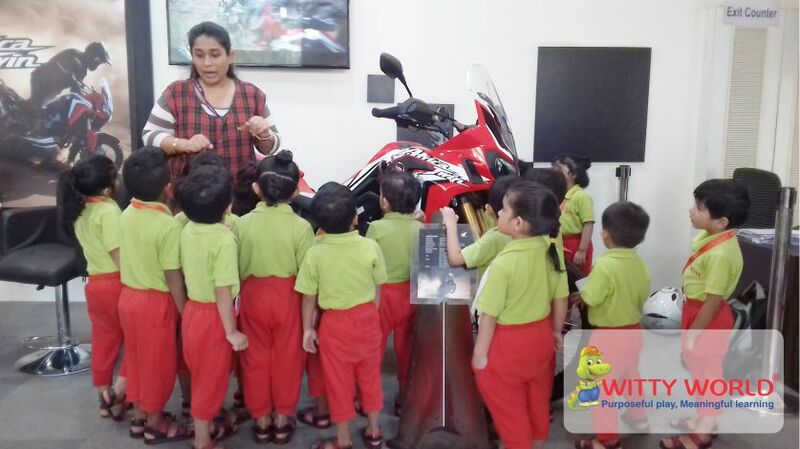 Children of the nursery class at Witty World had a wonderful experience, on their field –trip to visit a Bike Showroom. 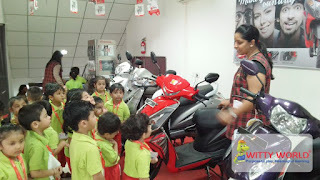 On Wednesday, 22nd November, 2017 children visited a Honda bike showroom, where they saw different types of bikes and scooters. It was an exciting trip, and of course experiential learning at its best.